The Future of Retail: New Tech Will Change Landscape, Create A Different Retail Job | Challenger, Gray & Christmas, Inc.
“The retail experience, as well as the typical retail job description, will look quite different in the next decade or two, as new technology becomes more affordable and adapted by more people, and general retailers move to online,” said John Challenger, Chief Executive Officer of global outplacement and executive coaching firm Challenger, Gray & Christmas, Inc.
GDP has been growing for eight consecutive years, unemployment has been under 5 percent, and the last 18 months have proven to be excellent years for wage growth, particularly for middle- and lower-income Americans. Although the economy is generally sound, there are several trends – including the rise of e-commerce and the overabundance of shopping malls – that have changed the face of American shopping. The most obvious explanation for the decline of brick-and-mortar stores is that Amazon and other online retailers are locking in consumers. From 2010 to 2016, Amazon’s sales in North America have increased from $16 billion to $80 billion, while stores like Sears showed a 2016 revenue of about $22 billion. Research from several analysts shows that Amazon has a Prime subscriber base of about 80 million globally – or half of all U.S. households. Online shopping has long done well in the media and entertainment categories, like books, movies, and music. However, easy return policies and access to a wide selection of goods has made online shopping easy, cheap, and risk-free for consumers in apparel, which is now the largest e-commerce category according to online metrics firm comScore. The success of start-ups like Casper, Bonobos, and Warby Parker (in mattresses, clothing, and eyeglasses, respectively) has forced physical retailers to offer comparable deals and added convenience online. Furthermore, mobile shopping is becoming progressively easier thanks to apps and mobile wallets. According to Cowen and Company, mobile commerce has grown from around 2 percent in 2010 to 20 percent in 2016. “The term ‘retailpocalypse’ increasingly describes 2017, as we see more and more American retail stores close down. Challenger has tracked over 6,000 announced store closures so far in 2017,” said Challenger. Roughly 1,200 shopping malls exist in the U.S. today, which could decline to about 900 in the next decade, as more stores show disappointing earnings according to Cowen and Company. Moreover, the number of malls in the U.S. grew more than twice as fast as the population between 1970 and 2015. Data also shows that the U.S. has 40 percent more shopping space per capita compared to Canada, and ten times more than Germany. 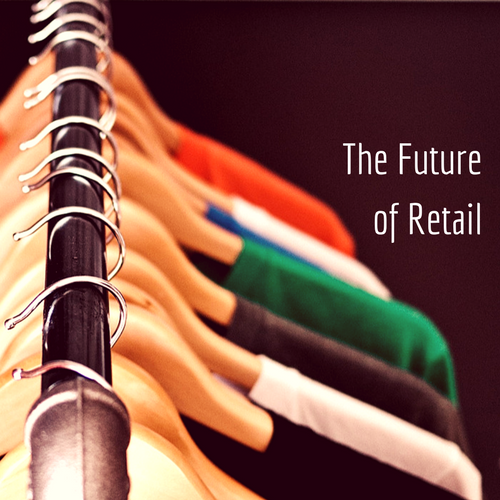 “Just as e-commerce technology over the past 20 years changed how consumers search, discover, and shop, new innovations may reinvent the physical store and expand the online experience of today. As Amazon’s $13.7 billion acquisition of Whole Foods highlights, traditional retail is changing due to new technologies, such as augmented reality and artificial intelligence,” said Challenger. The typical supermarket experience hasn’t changed significantly since the introduction of the shopping cart in 1937. However, the retail grocery experience has shifted due to specific tastes and diverse consumers. According to the Consumer Reports National Research Center, supermarkets in the 1970s stocked around 8,900 different items – now their inventories have reached over 47,000 SKUs. The end result shows that the average grocery shopper buys less than 1 percent of the available items over the course of the year, sometimes leading customers to feel overwhelmed. Herein lies the opportunity for retailers to satisfy the needs of differing shopping tastes while reducing the number of overwhelmed customers with aisles of products that won’t be purchased. Augmented reality (AR) has the ability to remove items from view and help customers focus on specific objects that are particularly hard to find. As low-cost augmented glasses become widespread, customers will soon have the ability to walk down a stocked grocery aisle and see only foods that are gluten-free or adhere to their new diet. For example, foods that are vegan or kosher would be highlighted in the shopper’s field of vision, while everything else is blurred out. A just-announced product from Google, called “Lens,” intends to make your smartphone camera accurately identify most objects by sight. At Google’s I/O developer conference, CEO Sundar Pichai gave demonstrations of the new software as a product that leverages Google’s computer vision and AI technology to bring more life to your phone’s camera. For example, Pichai showed the camera identifying a certain type of flower when the camera pointed to take a picture of it. He also showed how to complete a common task, like connecting to a home’s Wi-Fi network, by snapping a photo of the sticker on the router. What is soon to become a $100 billion digital reality market, loyalty programs and past shopping experiences could be evaluated in real time to enhance the live shopping experience as customers walk through aisles with their personalized assistants. Tech M&A advisory firm Digi-Capital estimates that the virtual reality market will grow from practically nothing today to $30 billion by 2020. The innovation in supermarkets will continue into how items are best displayed. Machine learning will continue to refine where, when, and how items are best displayed for customers when they walk into supermarkets. For example, retailers can put on VR headsets to see exactly which items are bestsellers on each shelf or aisle. Likewise, virtual products can be repositioned and sales projections calculated in real time. The experimentation of augmented reality on tablets and smartphones with games like Pokémon GO prepare the world for augmented reality glasses or products to become common, everyday items. The idea behind AR and machine learning capabilities is that every out-of-home shopping experience, whether it be a big box or specialty store, can provide recommendations similar to the online shopping experiences with which shoppers are already familiar. “Some of these new technologies will ultimately create jobs. Workers with experience using augmented or virtual reality will see the most opportunities, as will those who can help guide customers in this new experience or train fellow staff,” said Challenger.